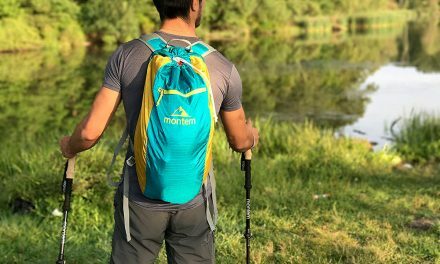 Review: Macpac Cascade 90L Backpack – How bombproof is it? 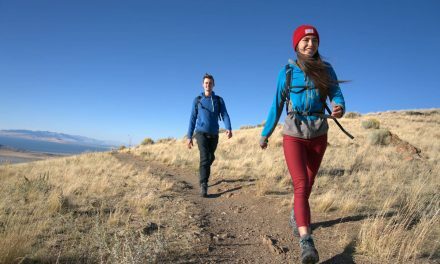 The Cascade is described by Macpac as a “classic tramping pack” and has been one of their top line flagship packs for many years. Hikers have often been heard to use the word “bombproof” in conjunction with the Cascade and a Cascade 90 famously accompanied British explorer Ed Stafford on his 860-day traverse of the Amazon River. I chose this pack specifically for multi-day family hikes in Tasmania with small children who only carry one-quarter of their body weight which usually means just sleeping gear, clothes, snacks and water. The rest is on my shoulders. I also selected the Cascade for its durability knowing I would get years if not decades of service. Despite the fact the children have gotten bigger and are now carrying cooking gear, main meals and some of the tent I have retained the Cascade which is also used on SES search and rescue missions where extra gear in the form of ropes, communications equipment, first aid, and shelter are humped into remote destinations for training and of course real life emergencies in the rugged highlands of Tasmania. The Cascade is made from Macpac’s patented Eco AzTec® Canvas which aims to achieve the best of old-world canvas cotton, with new-world polyester fibres interwoven. The whole matrix is then impregnated with a blend of resin and wax. Cotton fibres swell with moisture, closing up the void space and making fabric waterproof, while the polyester adds durability for higher wear properties. The pack has two large lid pockets, the first being on the outside top which of course gives access to items that might be needed for a walk. Unclipping this lid and opening it gives access to another large pocket underneath. On the outside front of the pack, there is another large pocket over which is interlaced bungee cord for which I’ve never found a good use for because it’s not secure enough for my liking to put anything of value underneath it. These three generous pockets combined carry so much gear that things tend to get lost in them and I’m often going through them looking for that one item I just know I brought with me, but can’t put my hands on. Near the bottom is a large opening as this pack can be divided inside, which is handy for storing items which you may not want inside your pack liner. I use it for my stove, crocs, cleaning rag, and canisters etc. The very bottom of the pack that sits on the ground is made of 840D nylon. It’s extremely tough with high abrasion resistance to the extent that there is absolutely no sign of wear after six years of use. The side pockets are not large and when the main body of the pack is stuffed full, these become quite tight with only a narrow gusset so they don’t store much. The sides also come with ice axe straps but I have employed them for carrying an extra sleeping mat on the side. Other features include an improved harness, stretch mesh bottle pockets, and hydration bladder compatibility. one easily accessible strap. This raises and lowers the hip belt, although it takes a little bit of fiddling to work it out and there are no instructions. This is usually done after walking for a day and working out that your hip isn’t quite sitting inside the waist belt where you would like it. The waist belt itself is very well padded, as is the waist pad. The waist belt and shoulder straps are made from a highly porous padded mesh to increase breathability. There is significant hardware inside the pack with alloy outer rods and flat alloy slides that the shoulder straps locate onto allowing for weight transfer to the hips. access zip, being a large toothed zip, could probably do with some candle wax at this stage. never had water ingress in this pack, even in persistent rain, despite the fact that pack covers don’t provide full coverage. I have had a little moisture inside the top pocket but it’s probably because of ingress through the zip, which doesn’t look waterproof. The traditional top loader design with bottom access and loads of huge pockets. Durability of fabric, buckles and zips really has meant it’s pretty well bombproof. The immense volume means I could hike for weeks. The only downside I have found with this pack is obviously its weight. The words ultralight and bombproof are never used together and as such weight weenies are going to be deterred by the 3.3 – 3.6 kg weight for the 90L although the 75L comes down to 2.8kg which makes it more attractive to the weight conscious. The Macpac Cascade 90L is no longer available from Macpac or from any Australian retailers that I’ve found. However, Macpac does still sell the 65L version and the 75L version on their website. Also keep an eye on their Clearance section as they pop up there from time to time. It might also be worth checking out eBay or other second hand gear websites. Have you tried the Macpac Cascade? Got any questions or comments? Let us know by commenting below. Summary The Macpac Cascade is an extremely rugged, tried and tested top of the line pack made by New Zealand's’ premier outdoor outfitter. Six years of fairly high use has seen no signs of wear on this pack with its comfortable harness system and ample storage with its only downside being the empty pack weight which is a concession I’m happy to make for something of high durability and volume which has fit and will continue to fit my requirements for years to come. John is father to three (almost) teenagers and married to Nani. Having been brought up on a farm, he’s passionate about being in the outdoors for a multitude of reasons. 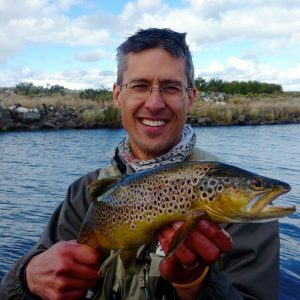 He was introduced by a friend to fly fishing eight years ago and has since found that between kayaking and hiking in Tasmania wild trophy trout can be spotted and on a good day fooled. John joined the local SES Search and Rescue team recently to repay a debt to the SES when he was rescued after a serious injury in the bush. His passion for all things outside means the whole family now has a love for the outdoors that he hopes will stay with them for the rest of their lives. 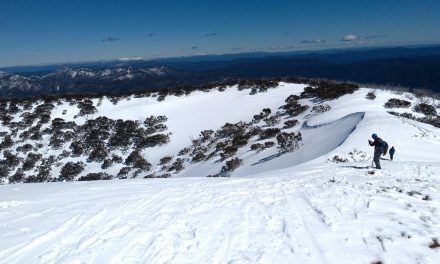 John is a member of The Bushwalking Blog's review team. Review: Lander Moab iPhone Case – protection from drops, deadly degrees, and the dark? Hi Debbie, unfortunately the Cascade that I have doesn’t have a bladder compartment. Once my pack is full, I slide the bladder down between the pack liner and the back of the back against my back and keep it as close to the top as possible. This is the advantage of using a pack liner – if the bladder leaks your gear stays dry. Keeping it close to the top ensures maximum length of hose. I close the lid, run the hose out from under the lid (at the side) and use a biner to clip it to my shoulder strap for easy access and to stop it swinging about. Other’s plop the bladder right on top, just under the lid. Hope that helps. Hi – I have a Macpac cascade. Where does the hydration bladder go?